The National Institute of Standards and Technology (NIST) Cybersecurity Framework (CSF) was originally focused on the Critical Infrastructure Sectors but is quickly being adopted by organizations of all types and sectors. Should you consider adopting the CSF? This webinar will provide you with a solid understanding of the CSF to help you decide if it’s right for you. 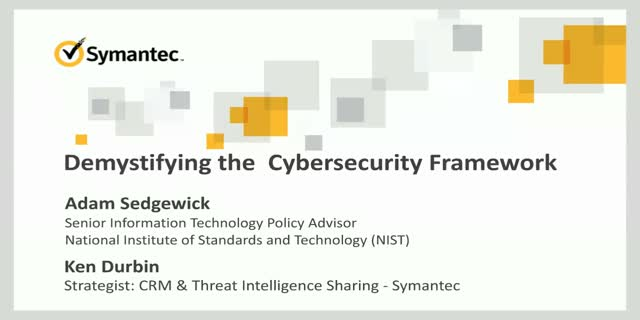 We’ve invited Adam Sedgewick, Senior Information Technology Policy Advisor, National Institute of Standards and Technology, to join us on this informative webinar.